Time is one of those commodities we have in life that can’t be taken for granted because it is in such limited supply. When you are a new parent, time becomes even more precious since you have little of it to spare. Parents need to keep their strength up throughout the day and, often, snacking throughout the day ends up taking the place of carefully planned meals. Unfortunately, many of the snacks available at the grocery store have little to no nutritional value which is of particular importance for breastfeeding mothers. So what alternatives are available that are easy to make and don’t require a ton of culinary skill? Below you’ll find a list of some of our favorite recipes for easy postpartum snacks. 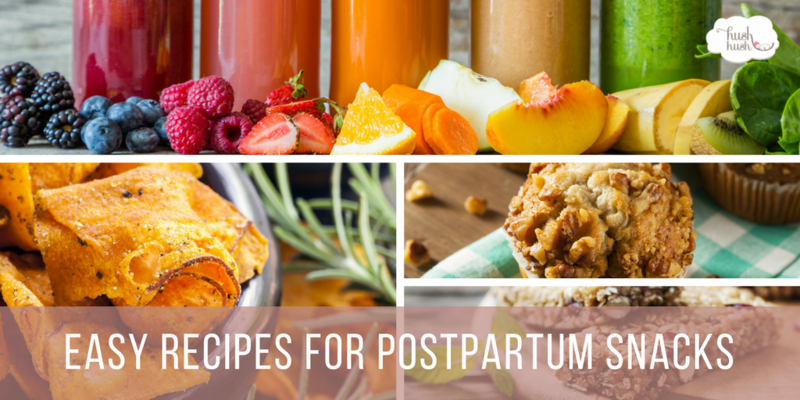 Keep in mind as you go through these recipes that you can easily make substitutions or alterations in many of these postpartum snacks to suit your specific dietary needs. For instance, you may need to add more protein or iron into a recipe, or you might want to substitute in a favorite fruit in a smoothie. Several of these recipes can also be made in large batches and frozen ahead of time. As a result, you may want to make some of these postpartum snacks before your baby is born, so you have an “eat in case of emergency” stash.